Find hotel near St James Barrow In Furnes .. Dominating the local skyline, the St James Barrow In Furness church has long been serving the community and has a cordial relationship with its community members. The majestic building is the largest place of worship in the town with a capacity of 1000 worshippers. 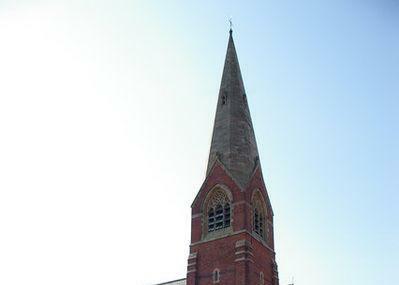 The daunting spire of the church is 150ft. The church boasts the traditional organ that was used in the marriage ceremony of Queen Victoria and Prince Albert. It was rebuilt with an additional 400 pipes. There are 8 bells on the bell tower, out of which the heaviest weighs around two-thirds of a ton. The stained glass windows are also enchanting. Although suffered from severe damage during the War, it still has been able to retain its aura. Create a customized plan for your visit using the Barrow-in-furness trip planner. You can use ready templates or start from scratch for the same. Add comfortable hotels to your plan, choose from the recommended hotels in Barrow-in-furness like Brow Head Hotel, Roosecote Guest House and Abbey House Hotel. Generate executable plans on your own or book the top rated Barrow-in-furness vacation packages for your visit. Read more on how to reach Barrow-in-furness. Love this? Explore the entire list of places to visit in Barrow-in-furness before you plan your trip. Fancy a good night's sleep after a tiring day? Check out where to stay in Barrow-in-furness and book an accommodation of your choice.